In the winter of 2009 I was unable to get outside because of the snow. One little robin kept visiting my terrace for crumbs. I sketched him over and over again. 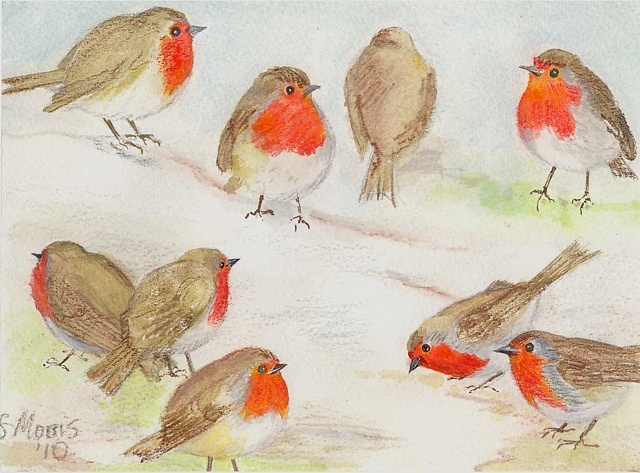 Although robins are territorial I have gathered them in this watercolour for compositional purposes.